The Jeanneau Sun Odyssey 50 DS was built in 2009 and is a fantastic sailboat for your dream sailing holiday. With 3 cabins that accommodate 8 guests, this boat is ideal for a romantic escape or a party boating adventure with friends. A gorgeous sailboat, she is both stylish and sleek. 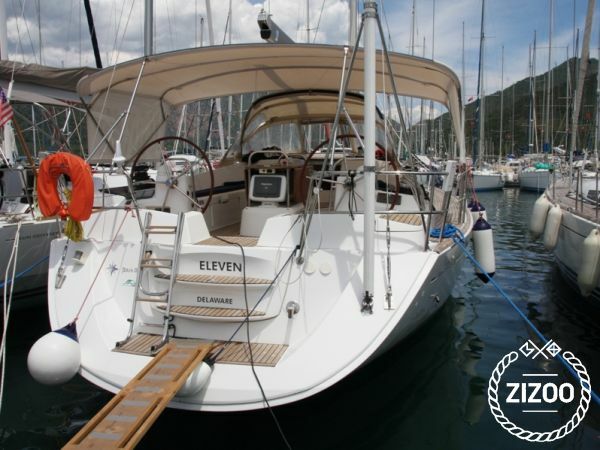 This boat is located in Marmaris Yacht Marina and is the perfect vessel for sailing between secluded coves and settling in picturesque ports in Marmaris. The Jeanneau Sun Odyssey 50 DS is a terrific model that is a relaxing and classic choice for your next sailing holiday. The sea is calling, so book now!.